The battle against the all-absorbing intergalactic menace known as Omnikron was going well until the arrival of the Herculoids and their misguided attack on Frankenstein Jr. Now Ty - the new Mightor - has become lost in time and space! Yet the heroes of Earth - and their new allies from beyond the stars - have not lost yet! With every issue of this book, Jeff Parker finds new ways to surprise me. 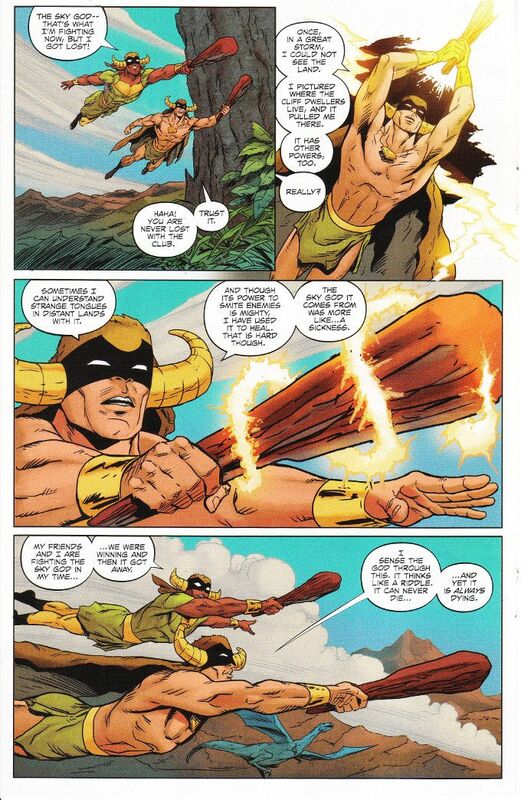 I hadn't expected Mightor to become a legacy hero in earlier issues and I didn't expect Ty to meet his prehistoric predecessor in this one. 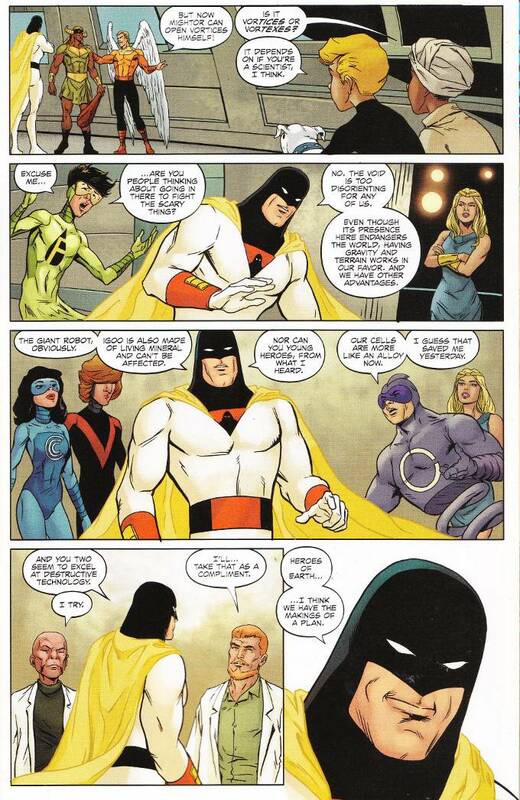 Scenes like this - and the later scene in which Space Ghost expresses his admiration for how the people of Earth have succeeded where more advanced civilizations fell - resonate with the power of pure imagination. This book has perfectly recaptured that magical feeling one had watching Saturday morning cartoons as a kid. Ron Randall and Veronica Gandini are the perfect team to give life to Parker's scripts. Randall's character designs evoke the work of Alex Toth, whilst still boasting a unique aesthetic that weaves the various characters into a continuous whole. Veronica Gandini's colors are perfectly chosen, catching the viewer's eye with every turn of the page.